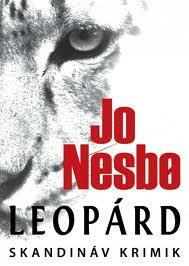 The Leopard by Jo Nesbo is the sixth in the Oslo sequence featuring detective Harry Hole. It starts with Harry on a massive bender in Hong Kong. He was going to Thailand but didn’t make it that far. He’s a mess, having rung up large gambling debts and indulging a heroin habit. Because that’s less of a problem for him than alcohol. Back in Oslo, two women have been found dead with mysterious wounds to the face. The police are fighting a political battle for jurisdiction over murders with Kripos, who are responsible for tackling organized crime. Harry’s boss wants him back to solve the crime and to stick it to Kripos. He sends detective Kaja Solness to bring Harry back. In turns out that there are more than two murders and the connection between them is not simple. Nesbo serves up several red herrings and twists and keeps the reader guessing right to the end. I loved this. The plot was gripping and expertly handled. There is treachery and intrigue amongst the police and the perpetrator was deliciously complicated. There are lots of threads and none of them are left loose at the end. It’s in this book that it’s made most clear that Harry’s flawed character is the reason he’s an exceptional detective. Writers are urged to give their characters a flaw to make them human and enable the readers to identify with them. I think it’s true to say that most fictional detectives are flawed and that alcoholism is very popular as said flaw. In the previous books in the series, Harry’s alcoholism is treated in a fairly standard way. He’s an arse and he’s difficult to work with, he’s unreliable and unstable. But he’s a great detective by virtue of persistence and making connections others don’t, so his bad behaviour is excused in favour of his results. In The Leopard, Nesbo shows how Harry’s flaw is the very thing that makes him great. His addiction is integral to his excellence. At the beginning of the book Harry is on a bender because of the impact his previous case had on him. He doesn’t want to chase serial killers again. He wants oblivion. Harry resigned from Oslo police but they bring him back. At first he resists but he finds he can’t help himself. He has to follow the threads, he has to work out what has happened and who did it. Harry is addicted to solving crimes. For me, this is the best Harry Hole so far. I really enjoyed it.